Andre Vltchek: "Revolutionary Optimism, Western Nihilism"
"There is nothing to add to the writing of maverick revolutionary philosophers. Hands off their work! Let them speak! Editions without prefaces and introductions, please; no footnotes! The greatest works of philosophy were written with heart, blood and passion! No interpretation is needed. If allowed to read them, even a child can understand." But I am damned though if I don't write a book review for Andre's book, because I told him I would give it a try. I don't want to let him down, but this is the best I can do. So, you can stop reading right here if you wish, and just buy Andre's book and let him speak to you for himself. Our struggling revolutionary artists whom still speak and write the truth need all the support we can give them. That goes for the alternative media site you are reading this on, such as OpEdNews. We are in a war, an information and propaganda war. Truth tellers are an endangered species. The Empire is trying to shut them up and shut them down. 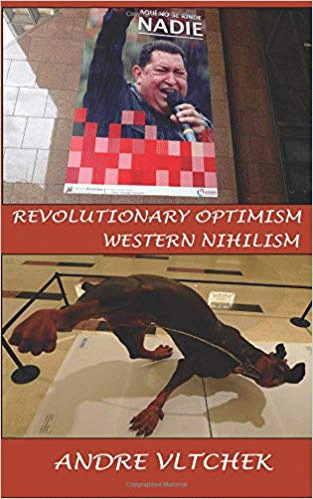 A lot of people are not going to like Andre's book " Revolutionary Optimism, Western Nihilism ", I can tell you that right now. The first to hate it will be the Empire, because they fear truth more than bomb throwers. The next group who will not like Andre's book will be the smug critics who want to nitpick his every word. I am not talking about the Deep State and its Mockingbirds. I am talking about the so-called liberal/progressives; especially the ones that never get off of the "proverbial couches of spinelessness", which Andre speaks of. You have to be brave to put up with that sh*t, but it is obvious that Andre is a revolutionary writer and doer that is on a mission that is bigger than himself. It is called "life". This is the time when we should be organizing and supporting each other, instead of criticizing each other, and letting the Empire divide us. As Andre says: "Obedient and cowardly masses hate those who are different". Different is an understatement to describe Andre Vitchek. You'll not find many like him in Europe or North America. You would have to go to South America, Africa, Asia, or Russia to find such uniquely honest voices. 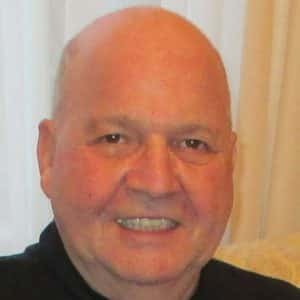 "One day, hopefully soon, humanism will win over dark nihilism; people will live for other people and not for some cold profits, religious dogmas and "Western values". For a while in 2016 socialism was popular among supporters of Bernie Sanders, whom claimed to be a socialist. He promised his followers what every poll shows that most Americans want: universal healthcare, low cost higher education, better economic safety nets, and $15 dollars an hour minimum wage. Where have all the so-called socialists gone now that Bernie disillusioned them?